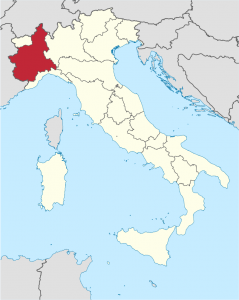 Located in the foothills of the alps Piemonte aptly translates to “at the foot of the mountains”. The region is close to 50% mountains and is the second largest after Sicilia. However, the historic quality emphasis long surpasses its overall size competitor. In the quality arena it rivals the iconic Toscana, but is likened to Burgundy in the way the vineyards are divided. Here we see the CRU system, where select vineyards are of importance more so than the winery itself. This is specific to Barolo & Barbaresco with emphasis on the Nebbiolo grape, which is noted for its longevity and complexity. It is likely to see multiple farmers from different wineries working within the same CRU vineyard and then making two separate wines. Ancient glacial melts have created immense soil differentiation from site to site which has contributed to this unique allocation of vineyards. Typically planted on hillsides between 150-400m elevation vineyards are farmed by small family producers on plots averaging 2 hectares (5 acres) in size. The specific sites and meticulous farming throughout the region has propelled the dominant quality theme and has elevated the production to nearly 85% DOCG classification. If the wine is not up to standard the Piedmontese are clearly not interested. Along with the prolific Nebbiolo based wines the region also boasts an eclectic lineup of native grapes that also thrive in this geological melting pot. Dolcetto & Barbera soothe the locals as daily reds in anticipation for the age worthy Nebbiolos. Whereas, Arneis, Moscato and Cortese cool everyone down on warm days throughout the growing season. When it comes to growing zones their microclimates, soils, exposures and varieties the diversification of the region as a whole is vast. Discover one nugget at a time and be prepared for a lifetime of discovery.